I had a few minutes to kill while I waited for photos to be printed, so I popped into Mr Price Home. 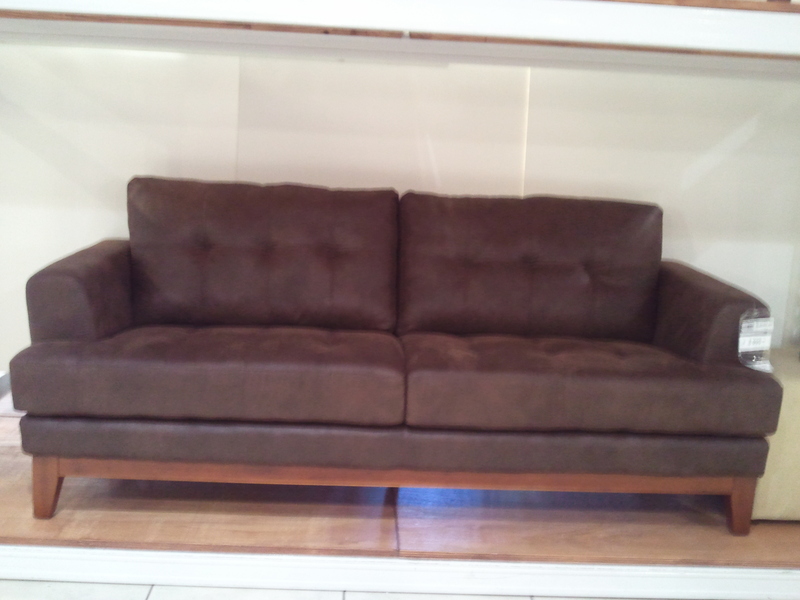 Now I’ve been eyeing out a huge corner leather couch effort from Coricraft for our lounge. I love it! I love the retro feel to it, and it’s so well priced! So now I’m thinking… 1 3-seater and 1 2-seater couches! But I am concerned about the longevity of Mr Price furniture. Hmm, what to do. It’ll definitely be cheaper for me to go with Mr Price. what I did do though, was follow through with my last blog post… and bought a new rug for the lounge. What a difference that small change has made to the room already! Honestly Jenty – I think that Coricraft have a ‘name’ but I’m not convinced of their quality. We bought two couches from them previously – both 3 seaters, and they didn’t even last a year. We tried having them restuffed several times, but within months they looked so terrible. This was before kids by the way – and I always looked after the covers by washing them etc etc. While cheap isn’t necessarily always better – sometimes it’s less about cheap – and more about quality. When we made our most recent move, I bought a “cheap” imitation leather couch. Even with the worst kind of boy/mess/mud/chocolate/general dirt that couch has held up way better than anything else I ever spent a fortune on. Sometimes all it takes is a baby wipe – and it looks as good as new. It’s all about what works for you! I wouldn’t buy from Mr Price. I have had 2 Coricraft couches for 10 yrs now, okay we are just replacing the stuffing in the seat cushions, but 10 years of sitting? Reckon they’ve paid for themselves over and over. Wetherleys is also great. Coricraft guarantee their frames for 10 years – i doubt you’ll get that from Mr P. But it’s yr call. Hahahaha, that’s my couch 🙂 So far I’m happy with it … but to be honest it doesn’t get used a whole lot. I also just loved the look and feel (and price!). We bought our dining room suite from Mr Price and for the price we feel it’s real value for money. At one stage we were also uhming and aahing about buying a lounge suite from Mr Price too but I was a bit nervous so we didn’t buy it in the end. I think my next lounge suite will be from Coricraft…they seem to last.